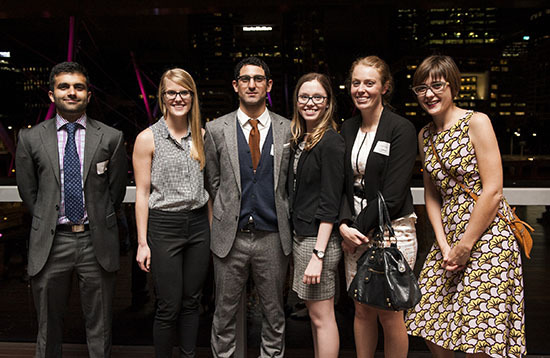 The QAGOMA Future Collective brings together a group of young professionals who share a passion for arts and culture. Members support the Gallery by providing philanthropic support to the QAGOMA Foundation. You can become part of the QAGOMA Future Collective with an annual tax-deductible donation of $1000. Each year, the donations received from Future Collective members support a special project decided by the Collective itself. You take part in the process, from beginning to end. 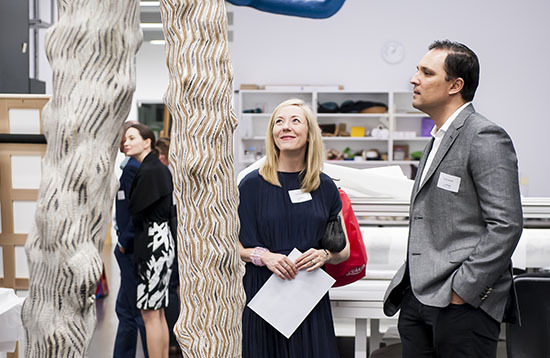 Projects may include the acquisition of artworks by emerging Australian artists, vital conservation projects, innovative exhibitions and dynamic programs such as the Gallery's popular Up Late events. As a part of the QAGOMA Future Collective, you can enjoy access to exclusive events, including behind-the-scenes tours of storage and conservation areas, private exhibition viewings, previews with our curators, artist talks and invitations to special Foundation occasions. The Future Collective helps you broaden your knowledge and appreciation of contemporary art in a network of like-minded individuals. Join now by filling in and submitting the donation form below or contacting the Foundation on foundation@qagoma.qld.gov.au or +61 (0)7 3840 7287. What is the QAGOMA Future Collective? The QAGOMA Future Collective is a group of young professionals from every industry, including the corporate sector, creative industries, education and government, who share an interest in art, involvement in Queensland's cultural landscape and philanthropic participation. What are the requirements to join? Benefaction is distinct from QAGOMA membership programs. Individuals from 18 to their early 40s can join the Future Collective by making a tax-deductible donation of $1000 to the Foundation. All contributions to the QAGOMA Foundation are tax deductible. Your contribution helps QAGOMA grow the state art collection and provide access to transformative art experiences for all of our visitors. QAGOMA raises 43 per cent of its income from non-government sources. The philanthropy of private individuals and the corporate sector has enabled the acquisition of more than a third of the Gallery's Collection. As a member of the Future Collective, you are personally involved in determining where the proceeds raised through the program are applied each year. What exactly does my donation support? As a member, you will be invited to help determine where the funds raised by the group are applied. The QAGOMA Future Collective provides funds in support of the acquisition of artworks by emerging Australian artists, vital art conservation projects, new research and publications, innovative exhibitions and dynamic and accessible programs such as the Gallery's immensely popular Up Late events. How do QAGOMA Future Collective members enjoy a closer association with the Gallery? Select events in the QAGOMA Future Collective social calendar are also shared with Foundation members, where you can meet and discuss your interests with our network of Gallery benefactors. The QAGOMA Foundation is the Gallery's vital fundraising body. It is comprised of over 1200 active members, from internationally renowned artists to current corporate and cultural leaders in Queensland and across the country, who have expressed a passion for art and supporting the Gallery. Are my contributions tax deductible? Yes. All contributions to the QAGOMA Foundation are tax deductible and are receipted accordingly by the Gallery. A $1000 donation may return up to $700 in tax deduction, depending on the applicable tax bracket. What happens when I am no longer eligible? QAGOMA Future Collective members automatically qualify for Foundation membership following four years of annual contributions (or contributions equivalent to $4000). Individuals who continue to meet the requirements for the Collective can remain involved in the group and hold Foundation membership concurrently. How frequent are events and what will they entail? The QAGOMA Future Collective will be invited to four exclusive evening events (one per season) per year. The nature of these events will vary depending on several factors, including the Gallery's exhibition, cinema and events program. In addition to these events, all members are invited to select Foundation events, including the launch of the Foundation Annual Appeal. Can I bring a guest to Future Collective events? Membership is individual but all members are welcome (and encouraged) to bring guests to QAGOMA Future Collective events. A small fee will be attached to some of our events to cover food and beverage costs and there is no restriction on the number of guests each member can bring. A Future Collective member and her guests at the Future Collective Project Pitch, GOMA, Sep 2015 / Photograph: Chloe Callistemon. 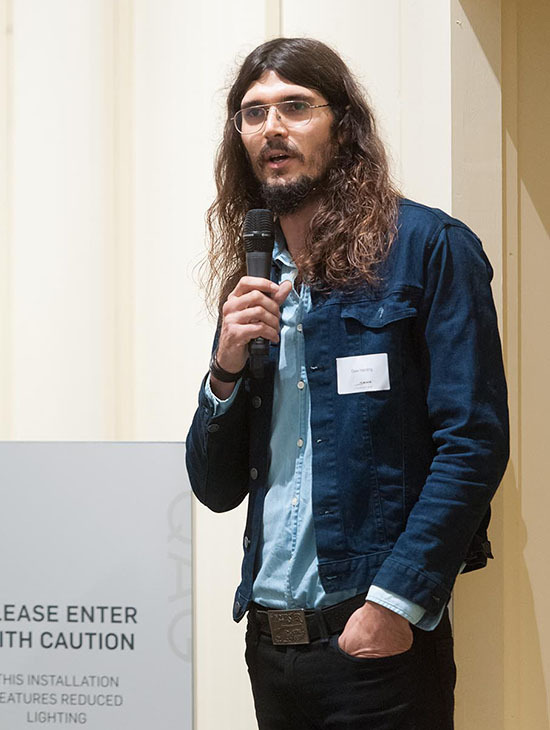 GOMA Q artist Dale Harding in conversation with Bruce McLean, Associate Curator, Australian Art, at a Future Collective event, GOMA, Jul 2015. A Future Collective member and her guest enjoy a behind-the-scenes tour of the Gallery’s Conservation area, GOMA, Sep 2015 / Photograph: Chloe Callistemon. Contributions of all sizes play a vital role in supporting the Gallery's Collection, exhibitions and programs. Donations of $2 and over are tax-deductible. Please contact the Foundation on +61 (0)7 3840 7262 if you would like to donate by American Express, organise payment by direct debit, direct deposit or instalment plan, arrange Foundation membership as a gift, notify the Foundation of your bequest to the Gallery. Monthly instalments will be processed with your credit/debit card details provided and the Foundation office will contact you regarding further payment options. Individuals can join through an annual, tax-deductible donation of $5000, made to the Foundation in a single payment or in five (5) monthly instalments of $1000. The first monthly instalment will be processed with your credit/debit card details provided and the Foundation office will contact you regarding details for further payment. Would you like to sign up for artmail email alerts? If you have finalised your donation but wish to amend the amount, please call the Foundation on (07) 3840 7262 or email foundation@qagoma.qld.gov.au within 2 working days of the date you made the donation. Protection of personal information and financial details is taken very seriously by the Queensland Art Gallery | Gallery of Modern Art. Personal information in relation to your donation will not be released to any third parties. Credit card details entered into this form are encrypted in a two-stage process through Westpac Bank. All your details are encrypted using a Secure Sockets Layer encryption technology which will be indicated by a padlock image at the bottom of your screen. This ensures that your credit card details are seen only by yourself and the bank performing the transactions. QAGOMA respects your privacy and will not share your personal details with third parties without your consent. We will use your information to send email updates including newsletters, special offers and more. You can opt-out at any time. For more information refer to our Privacy Statement.